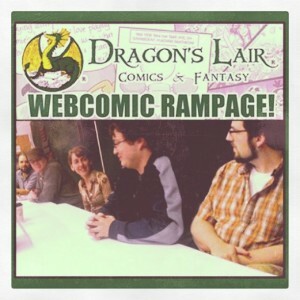 This is part 2 of the webcomics panel recorded at the annual Dragon’s Lair Webcomic Rampage event in Austin, TX. Enjoy! Posted in Classic HijiNKS ENSUE Podcast and tagged Danielle Corsetto, David Willis, Joel Watson, Randal Milholland.